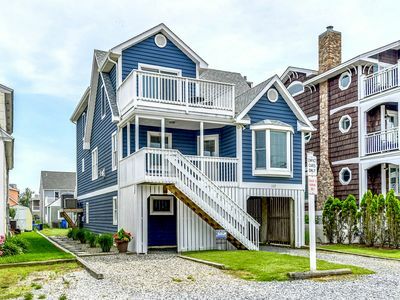 12 Chicago Street: OCEAN BLOCK LUXURY HOME – 3 Floors with Fabulous Ocean Views ~ Elevator ~ Dogs welcome ~ Rehoboth By the Sea! 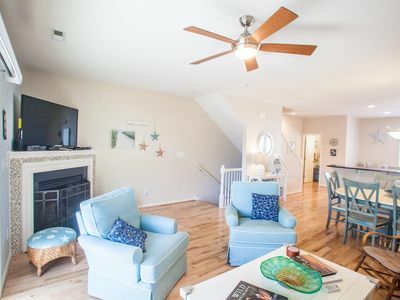 You can see the ocean from the living room, and hear the crashing waves while relaxing on one of the five screened-in porches or decks, enjoying a glass of wine after a day on the beach – the beach that's just 50 yards from the front door! Forgot your book? One of the kids needs the bathroom? 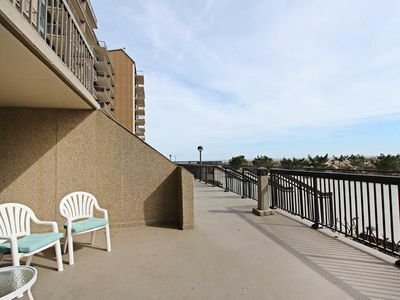 No problem – the house is just steps from your beach towel and chair! This 4500 sq. 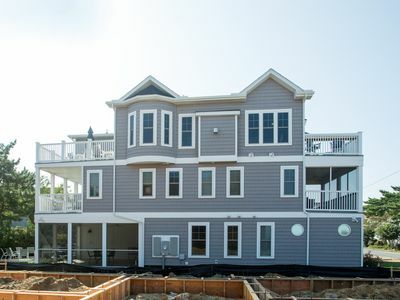 ft. (including porches and decks) gorgeous home has multiple ocean views. 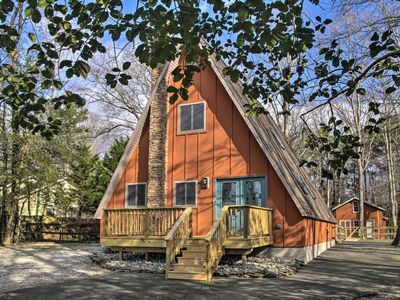 Rooms include a fully equipped gourmet kitchen, a game/coffee room with a wet bar, mini-fridge and dishwasher – play one of the many board games available or take in an early morning sunrise with a quiet cup of coffee. The massive 3rd floor great room features a fireplace and soaring cathedral ceilings, a dining room seating 12 with the adjacent kitchen seating four more, or enjoy your meals on the outdoor dining deck. 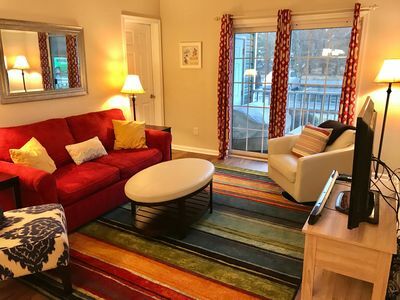 Enjoy a separate sunroom off the main living area, and choose which of the seven bedrooms you want – each with full private baths, TVs, USB ports, and overhead fans (in addition to seven bedroom TV’s, there are three more in common areas!). This incredible home also has five decks and screened-in porches, and a private back yard with a large patio – beautiful areas where you can gather at the end of the day with your family and friends to relax and enjoy the sunset. The house is only steps to the beach (complete with lifeguard and refreshment hut) and close to everything else as well. 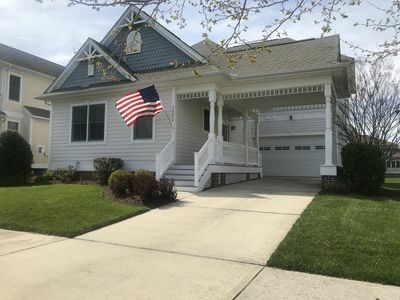 Located in Rehoboth-by-the-Sea, you're only five blocks to the heart of Dewey in one direction and five blocks to the peace and tranquility of Silver Lake in the other. Want some Dolle's Popcorn, Thrasher's Fries or Grotto’s Pizza? 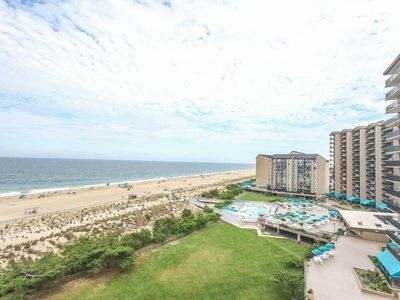 Rehoboth's boardwalk is just a mile away! • Fully stocked luxury kitchen includes huge kitchen island with seating for four, pantry area and plenty of cabinets for renter’s use, state-of-the-art appliances including separate icemaker, extra large capacity refrigerator, two dishwashers, large capacity microwave, oversized sink, instant hot water tap, as well as many small appliances including a traditional drip coffee maker, a Keurig coffee maker, etc.! • 2nd floor game/coffee room includes wet bar, dishwasher, refrigerator, Keurig coffee maker, instant hot water tap and microwave. Plus a wall TV, two reclining chairs and a breakfast table seating four. • All smart TVs have premium HD Cable including HBO, Showtime and Cinemax. • Smart TVs with premium cable are in the great room (4K, ultra high def, 60” - bring your BluRay movies! 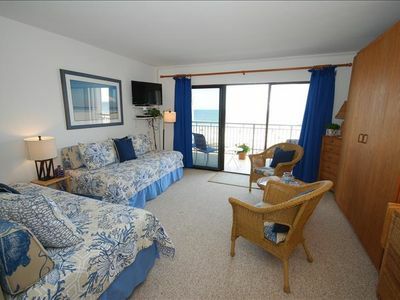 ), sunroom, coffee room, and master bedroom, plus cable TV in every bedroom. • Multiple DVD players and large DVD library. • High speed wireless Internet throughout the home. • Luxurious master bath with double vanity and multiple shower heads including rain shower head. • Six of the private full bathrooms have a designer custom-tile shower with niches and glass walls/doors; the seventh has a convenient tub as well as shower. 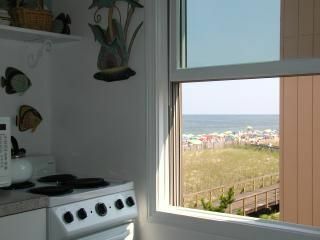 • Lots of light and sea breezes with over 60 (noise-buffering) windows for viewing sunrises and sunsets. 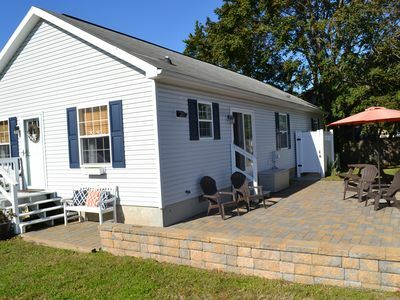 • Large deck with seating for ten off the kitchen for al fresco dining. • Two large screened-in porches. • Private deck shared by two bedrooms. 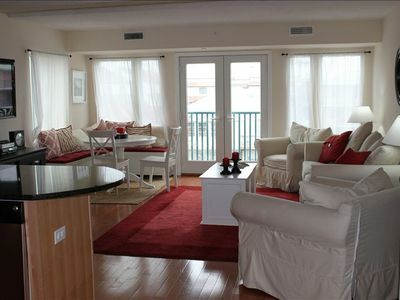 • Sunroom and sundeck on the 3rd floor. • Multiple French doors opening to decks. • Keyless Entry – everyone has access! • As many as six off-street parking spaces. • Outside private hot/cold shower with dressing area, as well as two faucets for rinsing sandy toes. 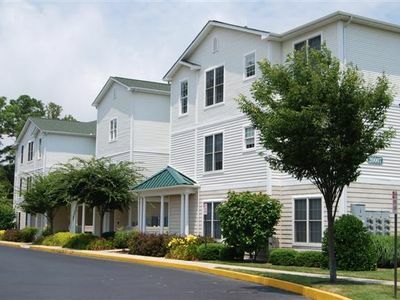 • Large capacity washer and dryer conveniently located on 2nd floor. • Extensive board games (children and adults) and book libraries. • Gas grill with propane provided. • Dual zone air conditioning. • Two tank-less hot water heaters so you won't ever run out of hot water. • Ironing board and iron, hair dryer. • Beach chairs (16 plus child-size), boogie boards, beach cart, wheeled beach cooler, beach toys and other beach equipment. • One or two dogs are welcome for an additional non-refundable $200 fee per pet. 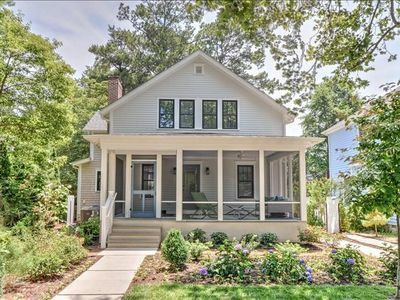 • This home is smoke free. • Two powder rooms are centrally located on the first and third floors, for a total of nine bathrooms. • Phone with Free Long Distance. • Over 140 discount outlet stores just down the road, and with Delaware's tax-free shopping. • Less than a tank of gas from DC, Philly, NYC, NJ, Norfolk, and more! Please note this home charges and additional $350 cleaning fee. In addition to weekly rentals, long weekends and mid-week breaks are also available. Three of four night minimum stay during holiday weekends. 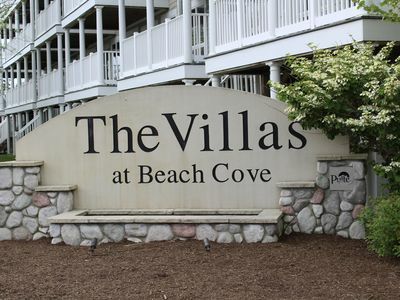 Close to the Peninsula pools and amenities! 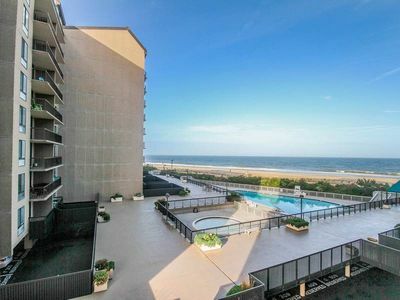 D109: Updated 1st Floor 1BR Sea Colony Oceanfront Resort Condo! 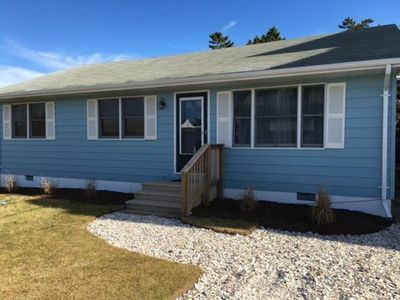 Bayside Rental! 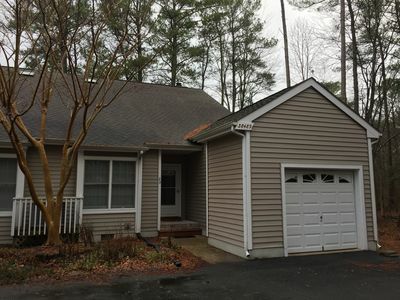 Spacious home in a vibrant community! 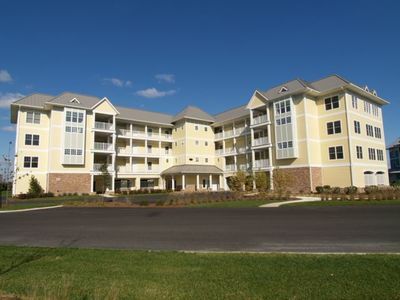 Luxury North Bethany Townhouse! Gorgeous Bay View! Walk to the Beach! Pool! 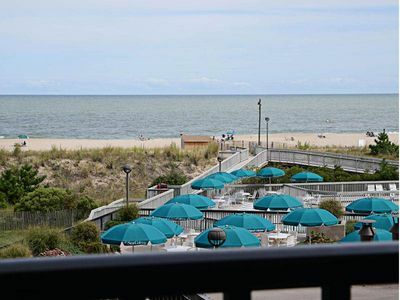 Home w/ Deck Near Lewes, Rehoboth & Bethany Beach! 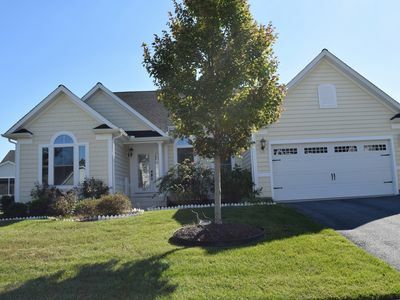 South Rehoboth 4BR Contemporary Chic Home!